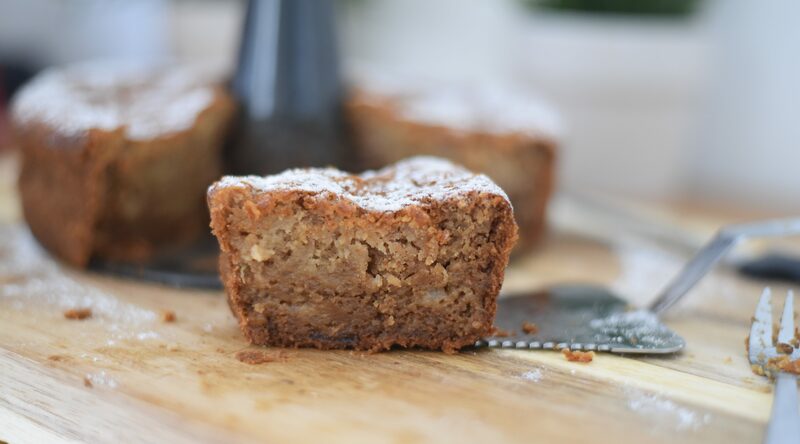 I’m always on the look for new apple cakes, I love apples in cakes in every form, size and shape, that’s why this apple and Olive oil and Apple cake (which is available in a few versions on the web) was so appealing to me. 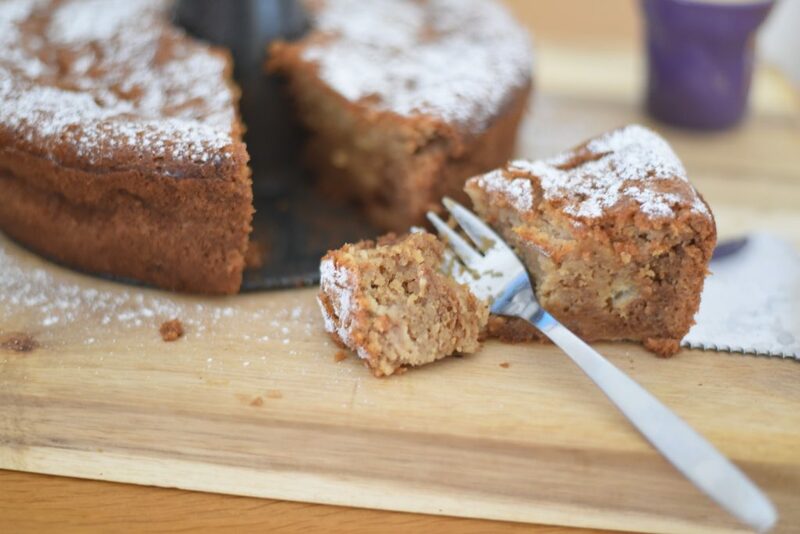 There is a very imitated version of Ottolenghi in his: The Cookbook which incorporates olive oil and apples in a great moist pound cake, this recipe uses maple frosting as well. 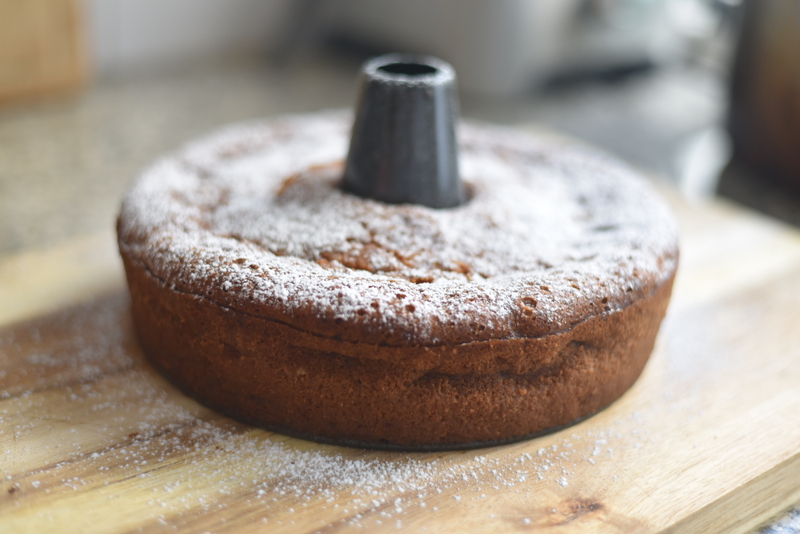 Another great recipe is by Anna Del Conte in her book: Gastronomy of Italy, which is probably the best encyclopedia of Italian cooking, her apple and olive oil Cake recipe is a bit rough and the result is a crumbly delicious cake. 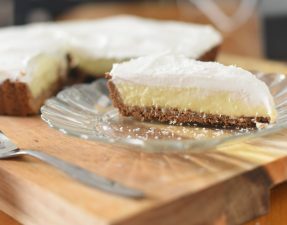 I often search for the middle line in every recipe, I’ve tried both Anna del conte and ottolenghi recipes in the past and I have to say Anna’s recipe was a bit dry for and Ottolenghi recipe has the frosting which I’m not interested in since my baking had been shifted from sugary creams into raw plain cakes, yet I believe the essence of the cake is in the texture and taste. 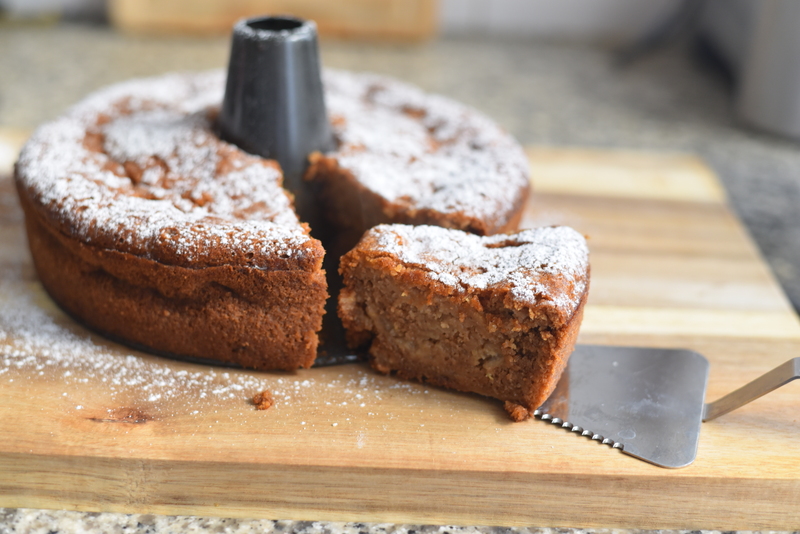 You see why I had to pick my own path here, cutting on sugar, adding more apples and olive oil and producing my own natural apple and raisins syrup to go over the cake for extra moisture (not that it needs it, this cake is super wet). 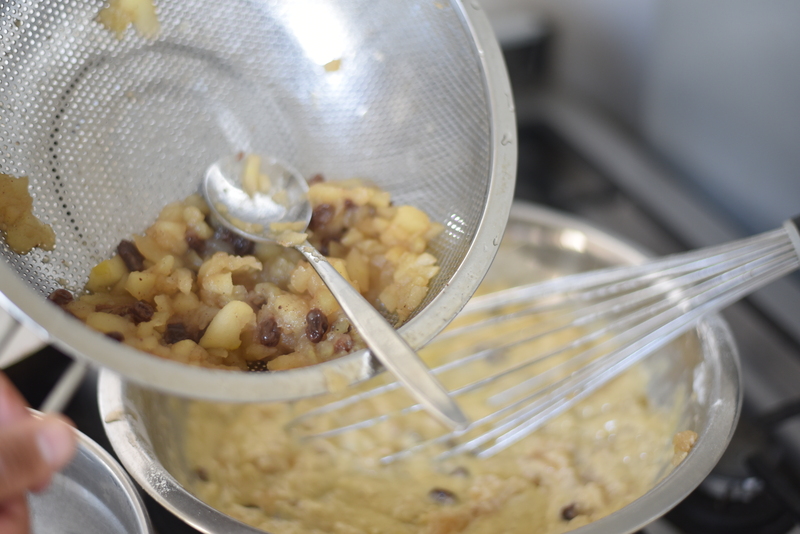 Cook the apples and raisins together, strain them and keep the leftovers syrup, we will pour it on the cake after its out of the oven. 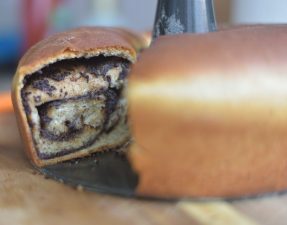 Use a bundt pan, the crunchy exterior is my favorite part of the cake, so why not extending the cake’s surface? Whisk the egg whites well, until puffed into stiff peaks, it will add the desired light texture for this cake. 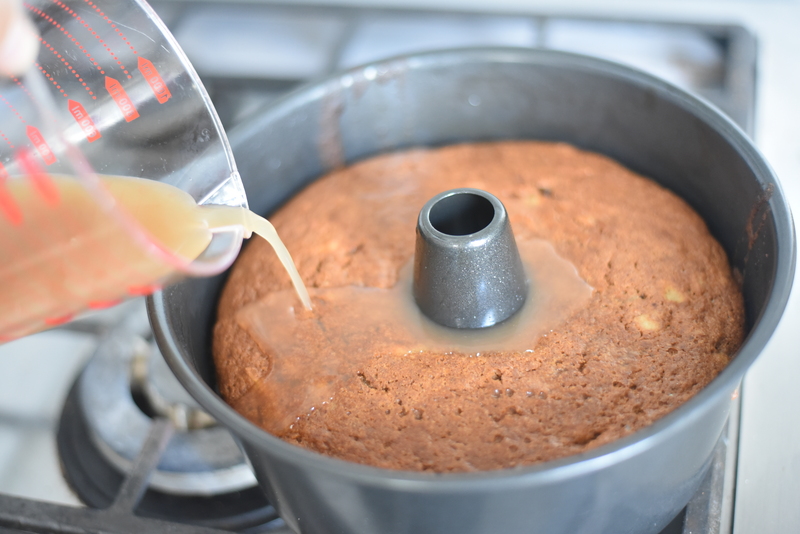 Make sure you bake this cake for at least 1 hour, when a toothpick is coming out dry, give it another 5 minutes, thing is, the apples and syrup will make the cake moist and wet, expect it to improve in the fridge after 24hrs. 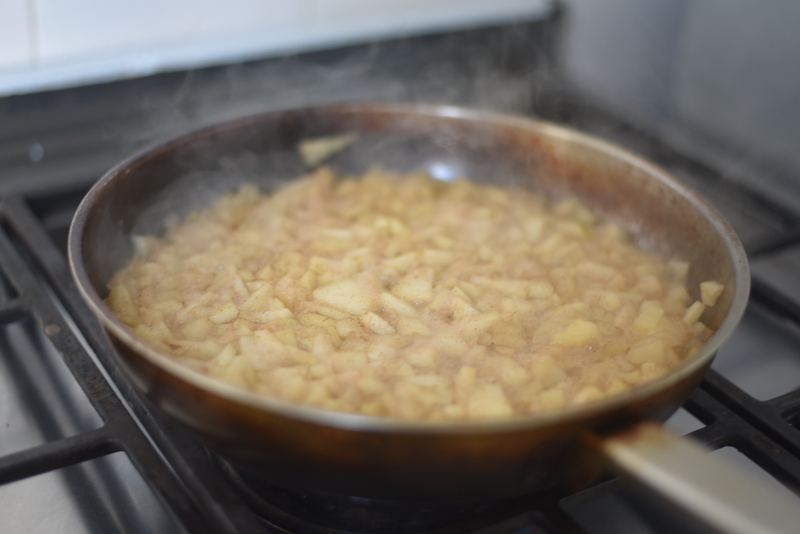 Making the Apple mix: In a large pan, place all the apple mix ingredients, bring to a boil, reduce heat and cook for 7-10 minutes until the apples are soft but not soggy. Leave the apple mix in the pan to cool for another 10 minutes and strain from liquids. Keep liquids in a separate container, we will use them later on. Preheat the oven to 175°c/350°F and butter a 22cm/ 9 inch Bundt pan. 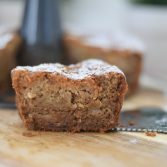 In a large bowl, sift in all the dry ingredients: all-purpose and whole wheat flour, baking powder, baking soda, salt. In a different bowl, mix the 2 eggs, vanilla extract, olive oil, brown sugar. 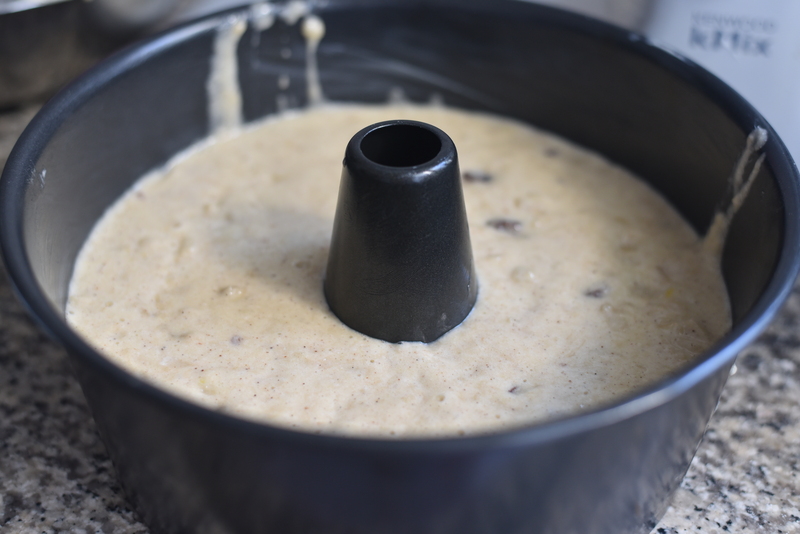 Pour the olive oil mix into the dry ingredients bowl while constantly whisking the batter into a smooth paste consistency. Add the apple mix, mix well and set aside. 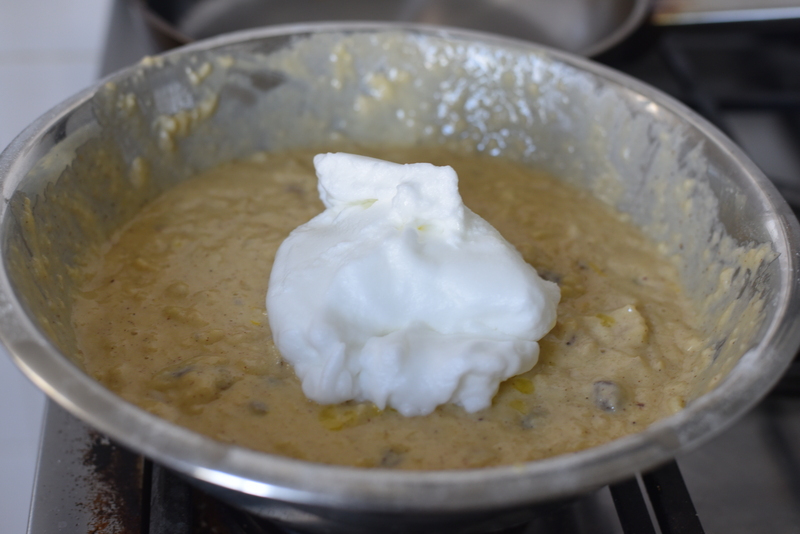 In a stand mixer, whisk the egg whites into soft peaks and blend in 2 batches into the batter until fully incorporated. 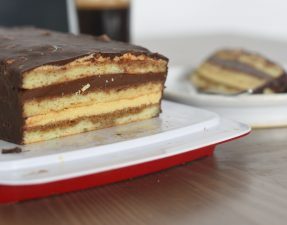 Baking the cake: Pour the batter into the cake pan and place the cake in the oven, bake for about an hour to 1 hour and 10 minutes, the cake needs to be fully baked. When ready, take out and cool for 10 minutes on a rack. Moistening with the apple syrup: When the apple cake has been cooled down, but still a bit warm (about 10 minutes wait), pour the apple syrup which we kept from the apple-raisin cooking. Wait another 10 minutes before releasing from the pan. Release the cake from the pan, powder with the fine sugar and serve. 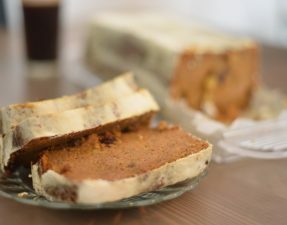 The cake can stay in the fridge for up to 5 days.